You hang up and look around…um, YIKES! The house is a disaster—a total HOT MESS! Well, don’t freak! I’ve got you covered! Here’s a speed cleaning checklist to take your house from disaster to company-ready in 15-20 minutes! I’ve even included a handy printable to keep on the fridge. Easy! You got this. Will these quick cleaning tips get your house sparkling and ready for every situation? No. This isn’t a deep clean or a total overhaul. This is a quick and (un)dirty speed cleaning checklist to get your house to presentable status FAST. 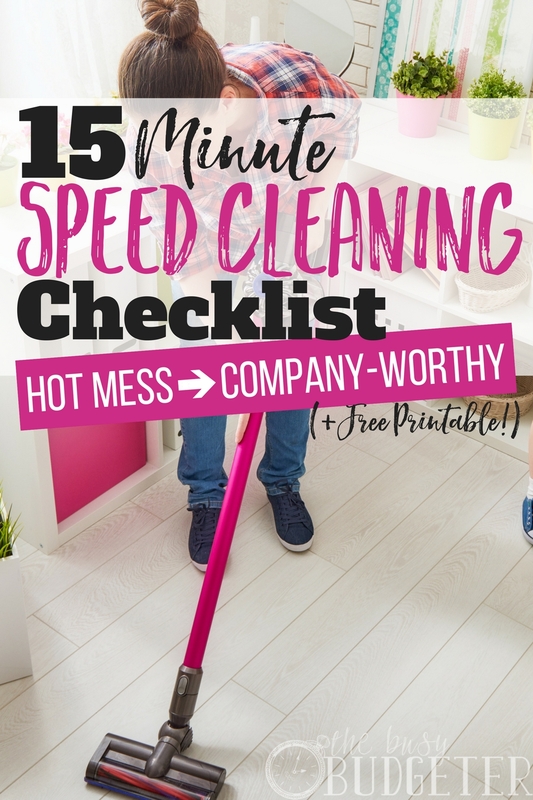 Get your FREE 15-Minute Speed Cleaning Checklist printable: CLICK HERE. In a best-case scenario, you own a free/empty laundry basket. This is the easiest and fastest method, but I realize it’s not always practical. Don’t dump out your clean or dirty laundry just to free up a basket (unless you’re desperate). Dumping laundry will just give you another mess to clean up. No free basket? Do you own an empty storage bin or box? If not grab the biggest bag you own—an IKEA bag works great or a big trash bag. Bags are a little harder to work with but you can make do. You’ll need one bag for picking up and a bag for garbage. You’re also going to need a rag or paper towels, cleaning spray, toilet bowl cleaner and a vacuum. If you don’t own a vacuum, a broom will work but sweeping takes more time. You may also want to grab your air freshener/Febreze. Now, run around your living room entryway area (any parts visible to company) and put everything out of place in the bag. Don’t stress about where the items should go or what you need to do with them; after Sue leaves you’re going to put everything in this bag in the right place. For now, get it all up and off the floor. Put any trash in the trash bag. Hit the living room, entryway and the bathroom closest to the door (in case Sue needs to use the facilities). Put anything out of place in the basket/bin and any garbage in the trash bag. If you have time, hit the kitchen as well, especially if the kitchen’s visible from the living room. Stash the basket of items to put away in your bedroom, a closet or another hidden area. Keep the garbage bag with you for now. Next, you’re going to spray the cloth or paper towels and do a very quick surface clean and simultaneous “straighten up.” This isn’t the time to go through every DVD or video game and match them to the case. It’s not the time to organize your books or other items. Just push everything in a home. As you straighten, wipe the damp cloth over the surfaces. Start on the highest surfaces and work down. Move fast. Skim surfaces to ensure they aren’t super dusty. Don’t bother with surfaces above eye level. When you get to the bathroom, spray the countertop, the sink, and the toilet seat. Squirt toilet bowl cleaner in the toilet (don’t flush yet). Wipe down the counter top and the sink. Wipe off the fixtures. If the mirror is dirty, use the spray to remove any visible gunk and dry the mirror off (it might be streaky but at least it won’t be gross). Check your toilet paper and ensure there’s a clean hand towel. Toss your paper towels in your garbage bag and empty the bathroom wastepaper basket in there, if needed. In the kitchen, spray off the countertop and quickly wipe it down. If there are dishes on the counter, move every dirty dish to the sink. Spray off the stovetop and any other visible surfaces. Again, don’t waste time with areas that need extra attention. Give the room a cursory once-over. Next grab your vacuum and quickly run over the entryway, the living room, the bathroom floor and the kitchen floor, if needed. Don’t worry about corners or the baseboards. You are simply removing any visible dirt. 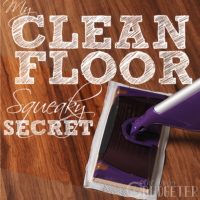 Even if your floors are wood, tile or laminate, run the vacuum in every room. Swiffer or wet mop cleaning takes too long if you’re in a rush. A vacuum will pick up any obvious debris and you can get the rest later. Now, go back to the bathroom and quickly swish the toilet with the brush. Flush and return the brush to the holder. Use a paper towel to go once around the rim and back of the toilet. This should remove most of the “ick” factor from the toilet. Tie off the garbage bag and place it in the garbage bin, outside the backdoor, or in a closet or corner. Grab your room spray and give the air a spritz. If you own Febreze or a fabric refresher, spray the couch. Then fluff the cushions and straighten up. If your doorbell hasn’t rung yet, I want you to go to your kitchen and check out the sink situation. If the dishwasher is full of clean dishes, empty it as quickly as possible. Put the dishes in the sink into the dishwasher. Hopefully you’ll fit every item in there. If your dishwasher’s not particularly loud, you can even start it. Since you didn’t pre-rinse, clean on the pots & pans setting. If you’d prefer, start the dishwasher after your visitor leaves. Speed cleaning your house is a little stressful. But having a clean house will be worth it when you aren’t embarrassed when company comes over. You can run through this speed cleaning checklist every time, of course, but what about when company (surprise!) stops by? Wouldn’t you love to feel this way all the time? I want you to take 10-15 minutes a day to speed clean your house. You don’t need to do the floors or clean the toilet every day, but take time to run through your house and pick up. Change the dishes in the dishwasher. Do a load of laundry each day. These little steps will help you always feel great about your clean house when a visitor stops by. You will feel more relaxed and calmer, because let’s face it—it’s stressful to live in a state of perpetual chaos. When your house is clean, you’ll want to spend more time there. You’ll spend less money because you won’t go out to avoid home. You’ll be able to eat at home because your kitchen is cleaner. So hey, now that you're a speed cleaning pro, when you have more time, I want you to start thinking about how you can implement a weekly cleaning routine to help you keep up with house cleaning basics. Simply keeping up on dishes and never falling behind on laundry makes a HUGE difference in the state of your house. If you feel overwhelmed and as though you can’t keep up with it all, it’s time for changes. Ask yourself if you simply own too much STUFF to keep up with. Could organizing and paring down a little help you stay more on top of your cleaning? It’s amazing what a difference downsizing makes. I used to carry around a ginormous purse. Every time I needed to find keys or a pen, I’d go slogging through this big bag of unnecessary crap I was carrying around with me. I asked myself—how do guys do it? Literally, they leave the house with keys, a wallet and maybe Chapstick. That’s it. I ditched my purse and went “guy style” with just a tiny wristlet/wallet. Not having a purse was a total game-changer! I realized carrying a big bag around wasn’t helping me achieve more. The big purse wasn’t helping me be prepared. In fact, I was often unprepared anyway because I couldn’t freakin’ find anything in my giant purse. Once I simplified, being organized was easy! Same goes for your house. Simplify! If you apply these four rules, your house will never be a disaster zone again. You won’t even need quick housecleaning tips. Your house doesn’t need to be perfect, but taking steps each day off this speed cleaning checklist will help you keep up. What are your favorite quick cleaning tips? What do you do when you’ve got to clean up in 15 minutes or less? 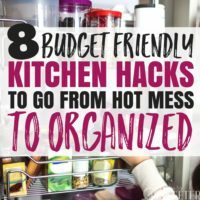 Thanks for the printable and the super helpful tips! Cleaning can be such a pain but I try to do a little every day and it makes a huge difference. Thanks for sharing such a good tips.I always have some issues with getting our floors cleaned. You can motivate yourself while cleaning with some good music though. Love this! 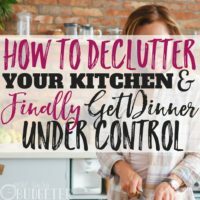 Such great tips and thanks for the printable. 🙂 The quick clean up is one of the reasons we love inviting neighbors and friends over – it prevents our house from turning into a total hot mess! I’ve written about this as well, as I certainly have been in this situation before when I’ve had to run round with a laundry basket dumping everything inside it to hide somewhere else! So my main tip is to sort the largest items of clutter first eg countertops, couches, as the eye is drawn to the biggest space. Katie@MySweetHomeLife recently posted…10 must-have habits for a happy marriage. I feel like this is something I could actually do. Thank you for the cheat sheet! 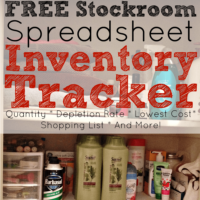 Thank you for the post and free printable! Great tips! 10 minutes a day after the kids go down does wonders for me! I also love the all in one rags from Norwex or E-Cloths! They are life savers, money savers, and major time savers! They are my go to for cleaning, especially in a pinch! Love this!! I have definitely had to use a system like this before. I’m usually more in a panic frenzy than really getting anything done. This is so great! Thank you! Whenever it comes to cleaning the swimming pool, the most efficient tool within your arsenal is a swimming pool cleaner. Ever so often, every home requires a deep cleanse. You may perhaps be house-proud and keep an eye on your chores but under no circumstances quite look for the time for a lot of extra job opportunities that just simply need doing ever so often. Let’s often be honest, hardly any people prefer to spend its valuable down time cleaning in kitchen cupboards, thoroughly cleaning from the fridge, passing time reviving a grout while in the shower etcetera. deep house cleaning let us handle your home to make it brand new. Hey! Thank you for the article! This checklist is so helpful! I just have to mention that to clean the house faster, you should have the right tools. Not just any tools but tools that really do the job. For example, a little while ago I bought a vacuum cleaner. It had the right suction power, so I could even clean the carpet. Great post, your tips are really very easy and working, i like the last one which you have mentioned about the toilet sanitizing technique. thank you so much for sharing. Incredible! This is an awesome post. Adore this!! I use definitely were required to use a method like this just before. I’m typically more inside a panic madness than actually getting something done. This is certainly so great! Thanks a lot! Really, it’s a very good work. Keep writing this type of excellent articles. Thanks! Great tips and I will try some of these for our house! Thanks for sharing. Great tips and thanks for the printable! My husband and kids laugh at me when I fly into a frenzy trying to quickly straighten up when someone is coming over. With this checklist, I can give each one of them an item, and we can get it done even faster! I am going to have to give this list to all my clients! Thanks for sharing. I loved that you also think we should run the vacuum on every kind of floors., not everyone thinks that. BTW, Some great tips you have shared above. It will help others for sure. Thanks for sharing. Thanks! 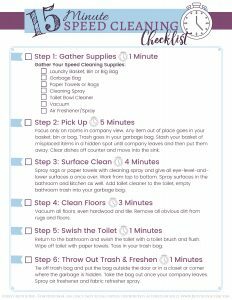 I will try your your Cleaning checklist…. Thank you for sharing! From my experience, I agree with everything you mentioned above. I’m a neat freak so I can’t sleep if something is messy or dirty in the house but well, we all have those days when we don’t want to do anything. As I have kids and pets, the house can get really dirty even in one day so if I don’t clean it right away but someone calls that he or she is coming over, I need to clean everything in minutes. So yes, I’ve also found some hacks that help me. The one that I really suggest (and that wasn’t in the article) is to get the right products – ones that really are great cleaning products, and maybe a robotic vacuum which will clean by the schedule so when you come from, at least the floor is clean. Great tips. I feel like all I do at the moment is clean and I’m dreading going back to work and trying to fit it all in. This post will help me massively.